Cathay Pacific has reported a narrowing first half loss as higher fuel costs offset gains from improved passenger and cargo demand and its transformation program. The company reported a net loss of HK$263 million for the six months to June 30 2018, an improvement from a net loss of HK$2.051 billion in the prior corresponding period. Revenue rose 15.7 per cent to HK$53.1 billion, Cathay Pacific said in a regulatory filing to the Hong Kong stock exchange on Wednesday. 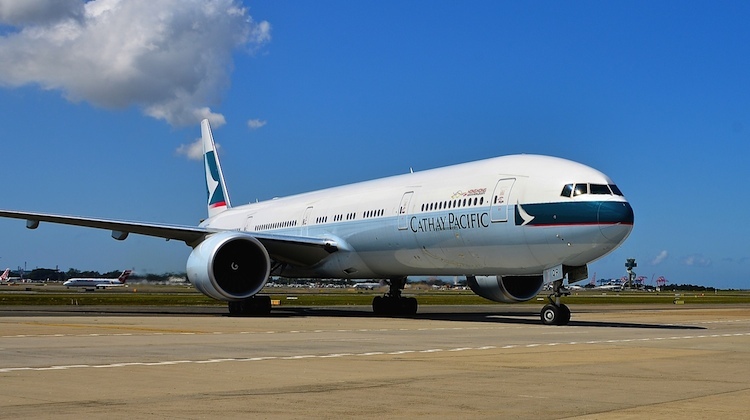 Cathay Pacific chief executive Rupert Hogg said the improved result was supported by the airline’s three-year transformation plan that kicked off about 18 months ago. “We are half way through the program now,” Hogg said during the company’s first half results presentation. Cathay Pacific has battled the rapid international expansion of Chinese airlines and the ongoing rise of Middle East carriers offering long-haul to long-haul connections through their hubs that have bitten into previously lucrative markets. Cathay Pacific chairman John Solsar said the operating environment remained challenging. “Revenue generation was satisfactory during the first half of 2018, with passenger yield improving,” Solsar said in Cathay Pacific’s first half results. Cathay Pacific said fuel costs increased by 7.1 per cent in the first half. In 2016, the airline embarked on a three-year transformation program that comprised a reorganisation of the business, hundreds of staff layoffs and adding more seats on existing aircraft, among other initiatives. Hogg said focus of the transformation program on the period ahead was on “redesigning the whole business”. “We are taking nine big processes, or work streams, that together comprise everything that we do in the business and we are mapping them out,” Hogg said. “We are not redesigning them in the traditional sense of business process engineering, we are applying new technologies, we are applying digital and better data so that we make better decisions and we are able to improve the customer service. There has also been an investment in new, more fuel-efficient aircraft for Cathay Pacific and its regional wing Cathay Dragon. 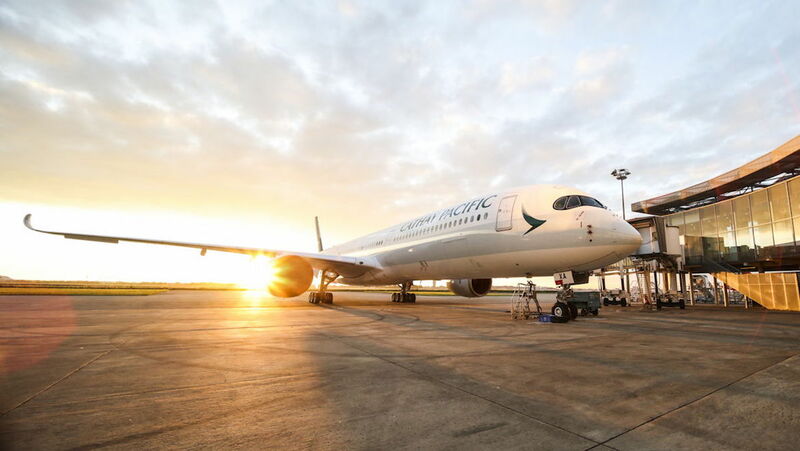 Cathay Pacific has been taking delivery of new Airbus A350-900s and A350-1000s that has allowed the airline to open up new destinations such as Brussels, Copenhagen and Tel Aviv in Europe, with Washington DC to start in September. The airline also has 21 Boeing 777-9Xs also on order. Similarly, Cathay Dragon has 21 Airbus A321neos on order due for delivery from 2020. In June 2018, Cathay Pacific took delivery of its first A350-1000. Cathay Pacific said competition on its Southwest Pacific network, which covers Australia and New Zealand, “remained fierce” due to increased capacity from other carriers. However, it said less reliance on transit passengers helped improve yield. Cathay Pacific serves six points in Australia and two destinations in New Zealand with passenger flights. It said yields, an industry measure of average airfares per passenger per kilometre, rose three per cent in the first half of calendar 2018. The Australia-Hong Kong market became a three-cornered contest in July 2017, when Virgin Australia started nonstop flights from Melbourne with Airbus A330-200s configured with 20 business class and 255 economy class seats. In July 2018, Virgin Australia added a second route to Hong Kong when it started serving the Special Administrative Region from Sydney. In the six months to June, Cathay Pacific said capacity to Southwest Pacific, measured by available seat kilometres (ASK), rose 6.2 per cent, while passenger load factors declined 3.6 percentage points to 81.6 per cent. The airline has been replacing 251-seat, three-class Airbus A330-300s with Boeing 777-300ERs (340 seats) and A350-900s (280 seats) on its Australian routes. Overall, passenger yields across the Cathay Pacific network rose 7.6 per cent, with demand, measured by revenue passenger kilometres (RPK), up 2.5 per cent. “Premium class demand was strong, particularly on long haul routes,” Cathay Pacific said. There was also encouraging news on the cargo front, with Cathay Pacific describing demand as “strong” in the first half of calendar 2018 as the volume of freight carried grew faster than available capacity. Revenue from Cathay Pacific’s cargo business rose 23 per cent in the first half, while yields improved 16.3 per cent. “Shipments from Hong Kong and Mainland China were stable and trans-shipment from the Indian subcontinent, Europe, Japan and Southeast Asia were strong,” Cathay Pacific said. Looking ahead, Solsar noted the company usually performed better in the second half of the year than in the first half of the year. “We expect this to be the case in 2018,” Slosar said.